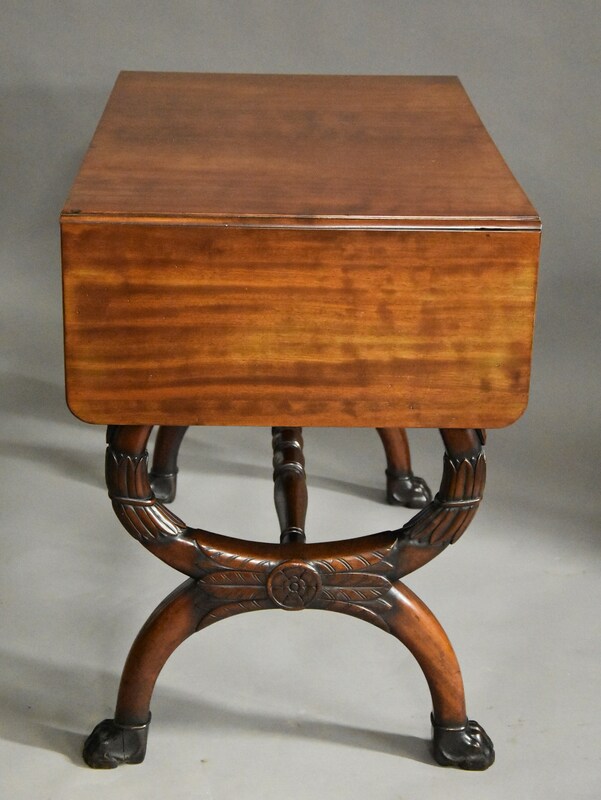 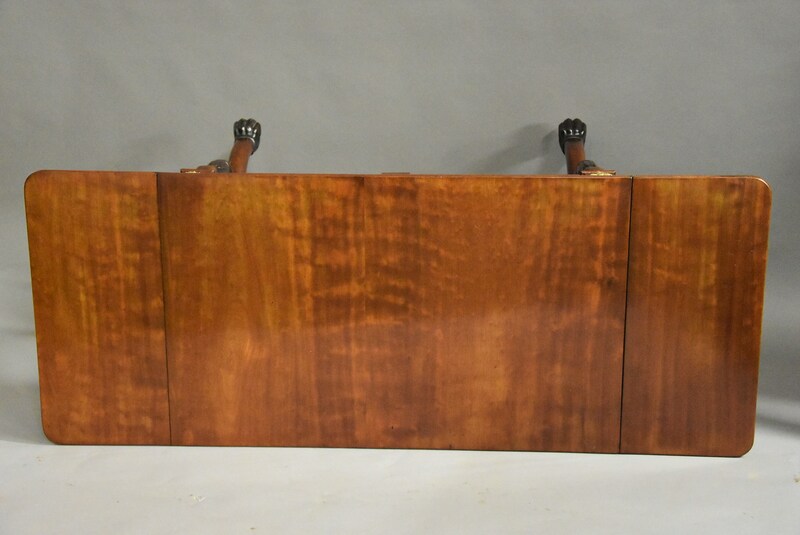 This table consists of a solid mahogany top with drop leaves at each end with carved scrolled supports. 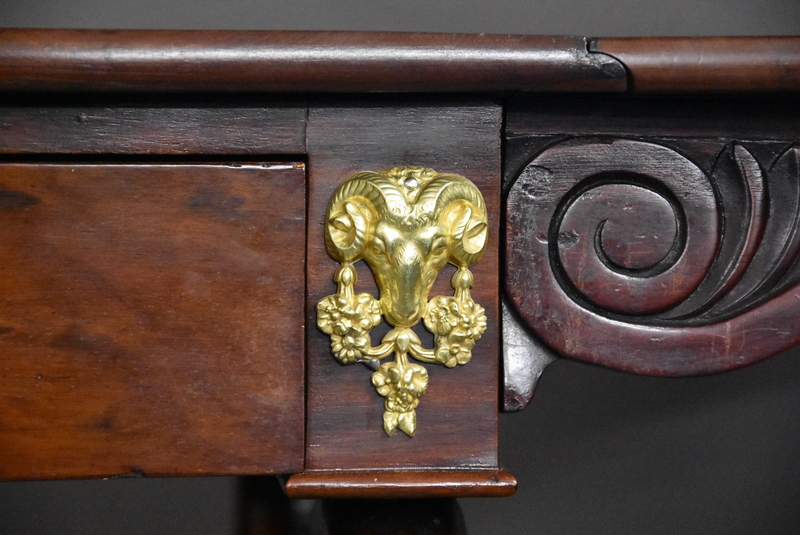 This leads down to a frieze fitted with two drawers, the fronts consisting of 'plum pudding' mahogany with ormolu rams head mounts at each end, to the back is a frieze again of 'plum pudding' mahogany with rams head ormolu mounts at each end. 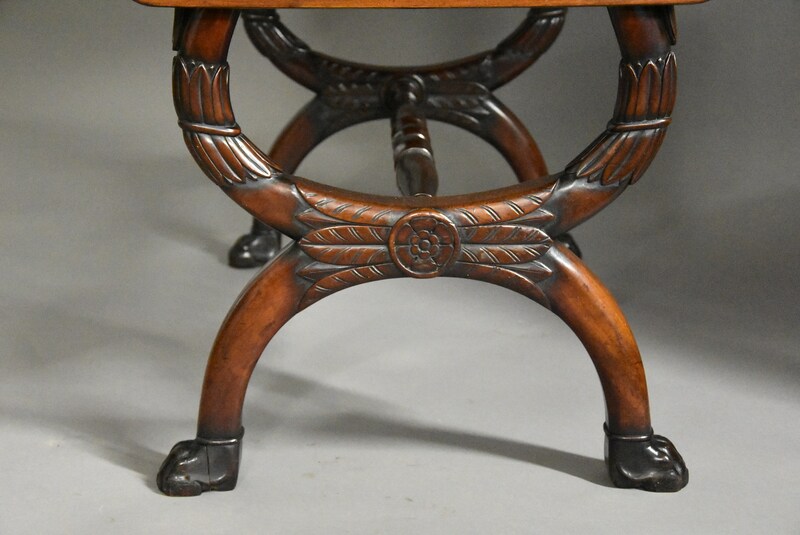 This leads down to the sophisticated base consisting of four supports of stylised swan heads with floral and foliate carving supported by a turned stretcher and terminating on four paw feet. 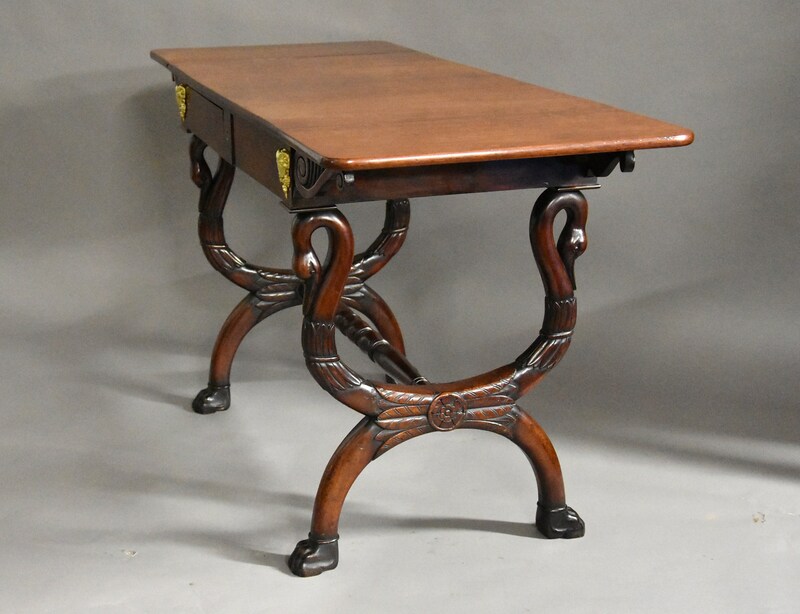 This table is of stable construction and in excellent condition for age. 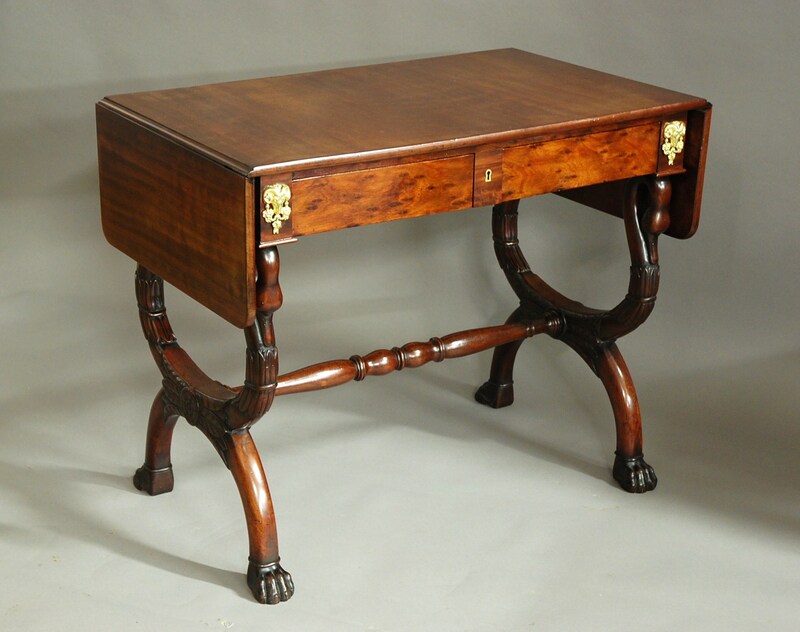 Jean-Joseph Chapuis was an excellent cabinetmaker bron in Brussels and later traned in Paris. 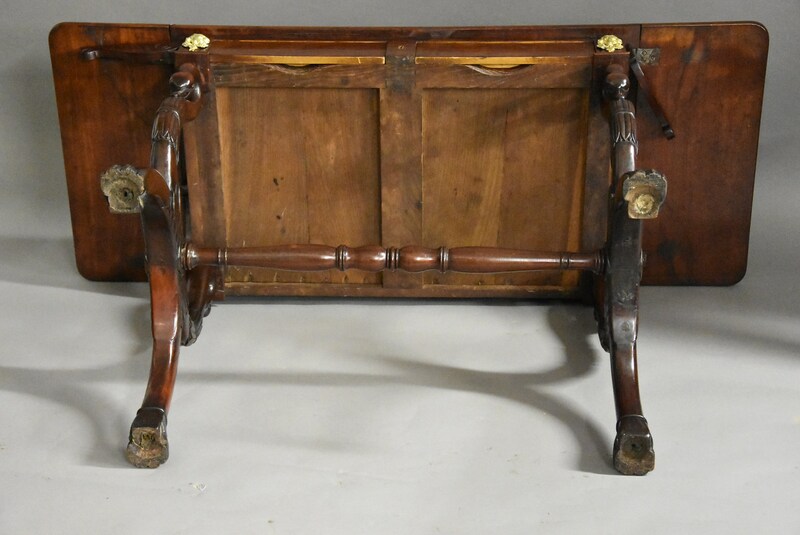 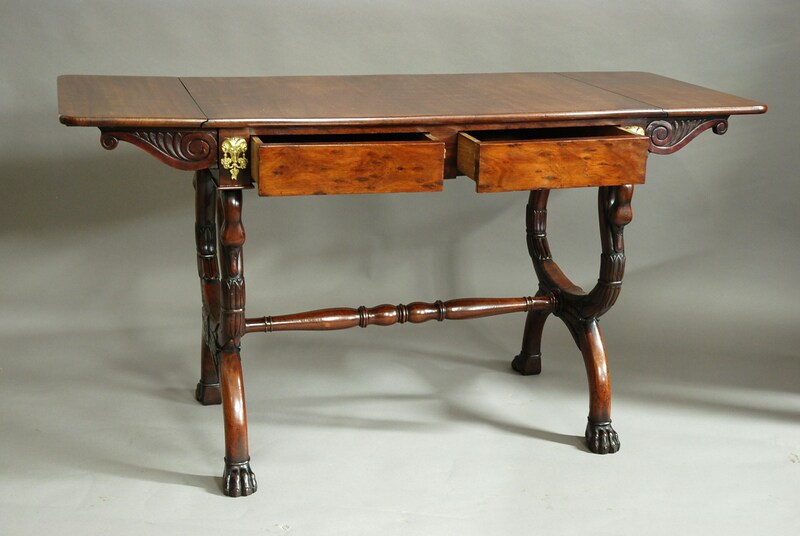 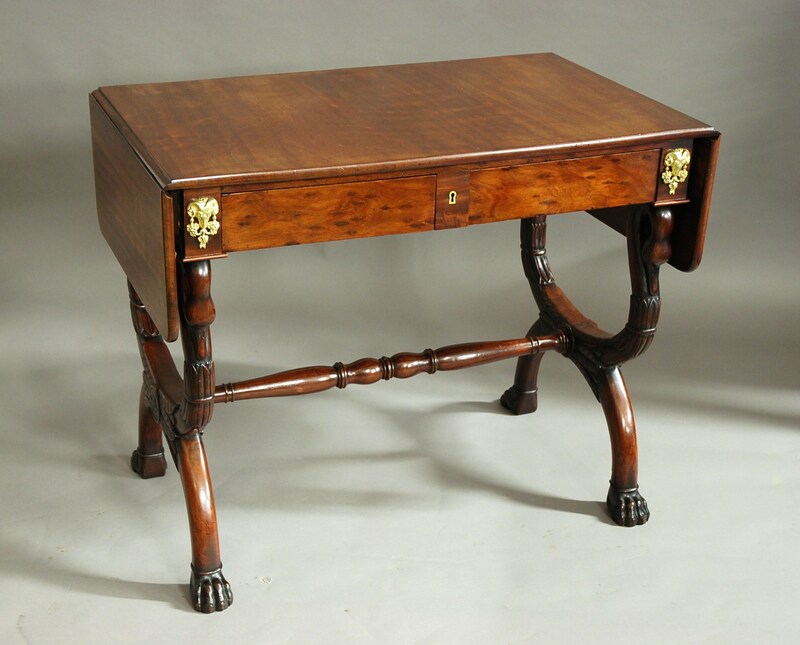 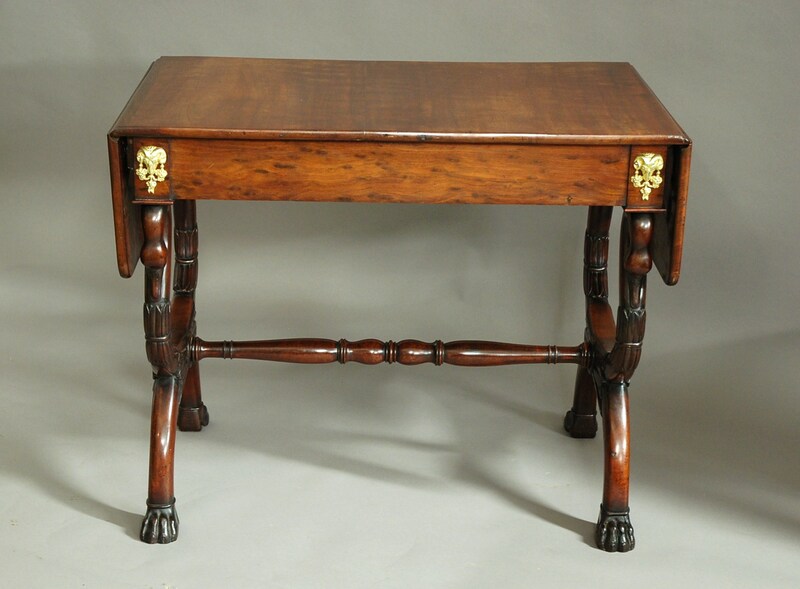 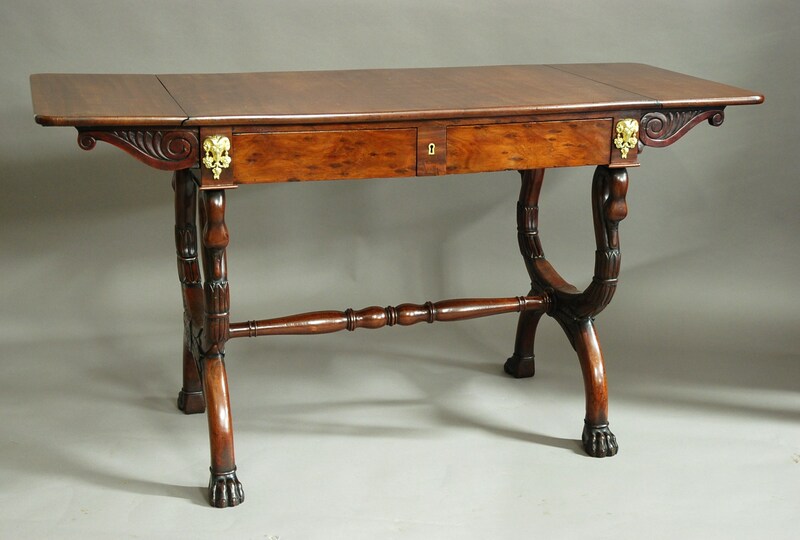 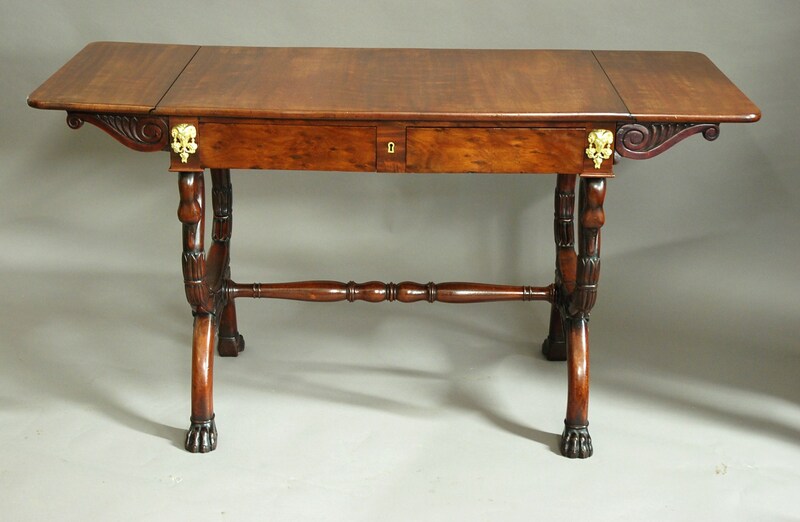 He was known for using quality materials and executing high levels of design, this table has Neoclassical influence from the period with the rams head mounts and carved swan heads.